Whilst this circular route is billed as a tough two weeks, we seemed to fairly fly around it. We had paused in London, and then took another breather in Oxford. Now you have to remember that this was only two years after the summer of love, and here was a boy from the boonies wandering through the hedonistic university fleshpot town of Oxford. As I recall, everyone looked like John Lennon with loads of hair (see my last post for an image of my own short back and sides), wire glasses and strangest of all, bare feet. It seemed that footwear had gone completely out of fashion and I was fascinated by all those black soled feet - I had never seen anything like it and it look so hip and cool. The only trouble was that I couldn't tell the boys f rom the girls - very confusiung for an eight year old. The sun continued to shine as we made our way up the Oxford Canal, eventually joining the Grand Union section and then onto the North Oxford to Coventry. Because Capt Snr didn't know the meaning of slow we added the branch to Coventry into our itinary and went out for an end of holiday meal. This was an unusual event for the cash strapped Ahab's, and I was tempted by the strange sounding "smoked mackrel". Matilda did her best to disuade me, reasoning that Mackrel tend to feed round sewage outfall pipes (no treatment plants back then) so the fish were tainted, dirty and unsafe. These dire warnings encouraged me further and I insisted on smoked mackrel or nothing - and so started a likelong taste for the fish. The same applied to girlfriends as I recall, I ditched one just because my mother approved of her! And so the epic Thames circle was completed, and I had fallen even further under the watery spell. After a wet trip down the Grand Union the sun smiled on us as we ascended the Thames, the most magical of rivers. The weather wasn't the only thing to brighten up, so did my prospects. My delight in messing about on the water was blatantly obvious and I remember the immense pride when Dad handed me the wheel (and a box!) and told me to steer the boat along the river. I would have been just about eight at the time and I felt so grown up. Either my father or my brother was always nearby but from that time on I wanted to steer at every opportunity. If the truth be told, I still tend to hog the steering but I relinquish the helm with a bit better grace these days! The Thames was at it sparkling best with mansions at every turn graceful towns at every lock. 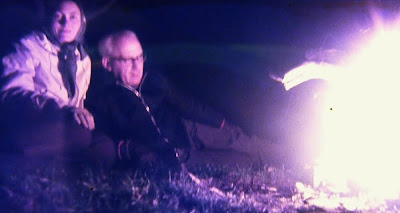 Perhaps one of the highlights for me was mooring on one of the eyots (islands) in the river and lighting a fire as it got dark. Real Swallows and Amazons stuff. 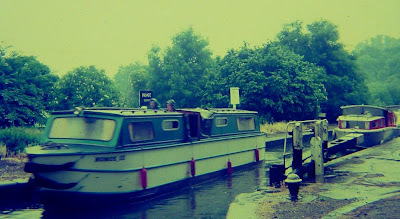 We spent about four days on the Thames pausing at Abingdon which looks little different 40 years later. This was a magical time, one of the last long holidays we had with Dr D, my brother, who was well into his 20's and getting stuck into his career. 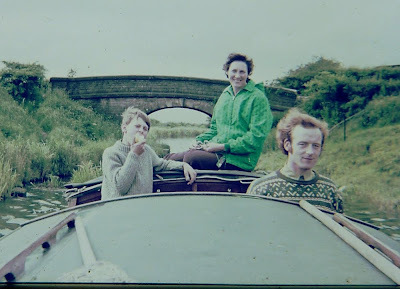 The four of us did share later boating holidays, but never for more than a week, so this trip was something out of the ordinary and a landmark in the family history. It's a shame that my sister wasn't with us with on these trips with us to complete the Ahab set. 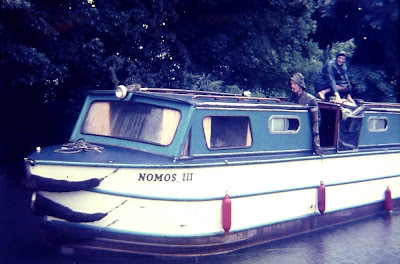 Inspired by the success our Yorkanaught journey to Llangollen the previous summer, we returned to Dolphin Marine in Nuneaton for a second helping, this time in a boat named Nomos 3. This was another two week cruise but rather than heading north as we had in 1968, the plan was to complete the Thames / Grand Union ring. We had gone up market this time, but not by much. 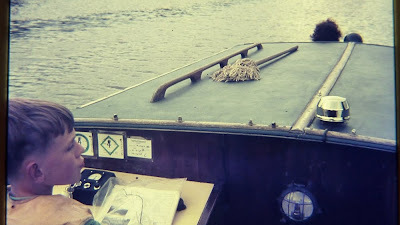 The main advance was an inboard diesel engine rather than a petrol hungry outboard as we had last year. The outboard left us forever searching for filling stations and then a long walk back to the boat with a five gallon fuel drum dangling between the Capt Snr and Dr D on the boathook, like a pair of latter day Sherpas. Progress indeed, and a chemical loo to boot. I even seem to remember some sort of space heater which ran off the Calor Gas supply - the sort of thing that would have the boat condemned in today's Health and Safety concious world. Thinking of the chemical loo - it was the most basic "porta potty" you could imagine, but with four people availing it of its services regular emptying was an essential ingredient of the daily routine. 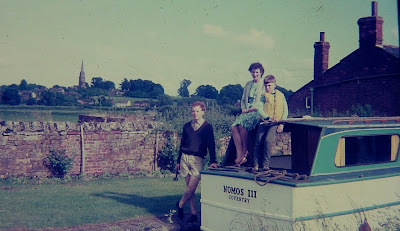 Mercifully, 'slopping out duties' were accepted by the Captain Snr who could regularly be seen scurrying furtively down the towpath, bucket in hand, looking for suitable hole in the bank into which he could make a deposit. This was a neat counterpoint to my later career which also involved holes in the Bank, but from which people tended to make withdrawals!. Before you rush to write the Capt Snr off as an eco hooligan I should point out that the system wasn't as well supplied with waste disposal points as it is today and these DIY (Dump It Yourself) tactics were unavoidable. 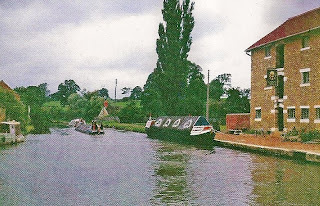 My memory of this trip is a bit sketchy, but a close examination of the old photos tells me that we headed south down the Grand Union, pausing for a photo at Stoke Bruerne. The horse boat / butty on display in the dry dock is Northwich, which later became butty to President in the pre Kildaire days. Progress down the GU was a soggy experience as evidenced by the abundance of wet weather gear - some things never change. 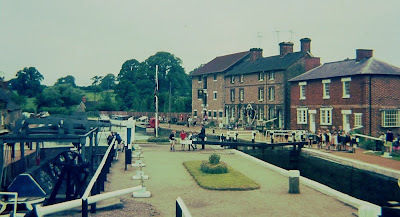 I do remember Stoke Bruene and it's canal museum. I have never passed this way in recent times but I still remember seeing the back cabin of a traditional working boat and being amazed at the size of it. 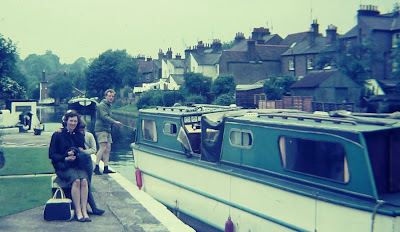 The rest of the trip to Brentford passed in a blur, as did the semi tidal reach along the Thames to Richmond, but then the sun came out and with it came the start of hay fever, a complaint which plagued me for nearly two decades. I remember sneezing and sneezing with out a break, but even so I was captivated by the whole boating experience.